It’s back-to-school for us next week and that has got me thinking snacks. My kids love to eat snacks. They are active children so I know they burn a lot of calories. 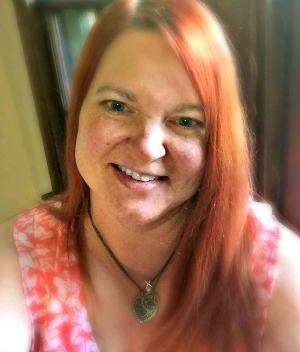 Weight is not my primary concern in eating our Real Food diet, but I do know that it helps to combat obesity which is an epidemic in the United States and can lead to all sort of illness. Obesity has been determined as a cause for heart disease, menstrual disorders, infertility, kidney disease, and cancer. None of these do I want for my family now or in the future. Each time I go to the grocery store, I skip the aisles full of processed and convenience foods. These are full of sugar, artificial colors and lots of other chemicals that I can’t pronounce and don’t want to feed to my family. Even the foods labeled as “low-fat” are full of sugar. Food companies found in the 80s if they labeled food as “low-fat” and then loaded it with sugar we would buy lots of it. I prefer to buy full-fat varieties. They are more filling so we eat less. In case you don’t know (you are not alone) sugar converts to fat. Stick with the full fat. Ok………off my sugar soap box and back to the snacks. The questions I get asked over and over are “What do you eat?” and “Do your kids eat that stuff?” My kids eat the same as we do. They are exposed to more outside treats at their activities (a rant for another day), but the meals and snacks I provide are the same for all of us. 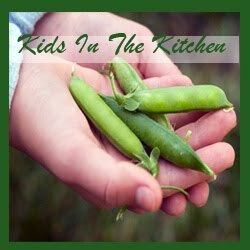 The following list is a list of snacks that my Real Kids eat. I was concerned about peer pressure (even with the younger ones) getting to them, but I can assure you that their friends don’t make fun of their food. In fact, some of them are quite jealous. It’s a whole grain full of nutrition. 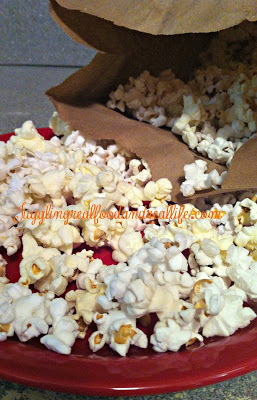 Keep the oil down by using my fun microwave method. 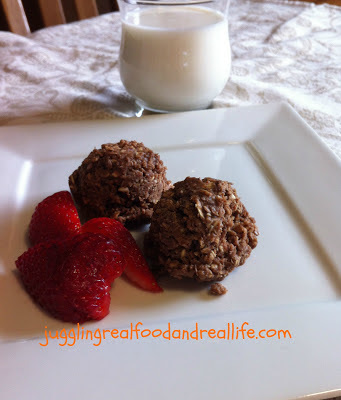 These are packed with healthy ingredients come in fun bite-sized balls that kids and adults both love. You can substitute sun butter if your child attends a peanut-free school. You can find the recipe here. We all know that fresh fruit is good for you, but add a punch of protein in the form of a fun dip and it’s now a treat. Justin’s makes great little portable packages. Look for them at your grocery store or you can order them from Amazon. 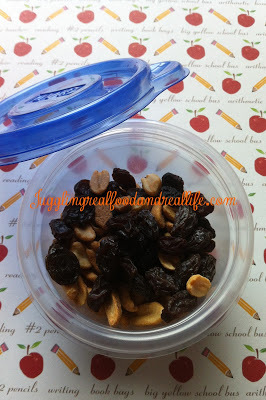 Trail mix can be made using all sorts of nuts, seeds, and dried fruits. The teenager’s favorite couldn’t be any easier. He doesn’t like all the stuff that comes in traditional trail mix so I make him a peanut and raisin mix. He loves it and there isn’t he has to pick out to enjoy it. Be creative and let the kids help make this up with all of their favorites. I like to make a batch of muffins when I have time and freeze a bunch of them. I then have easy snacks to throw in the book bag. I’m looking forward to pumpkin season to have Pumpkin Spice Muffins. 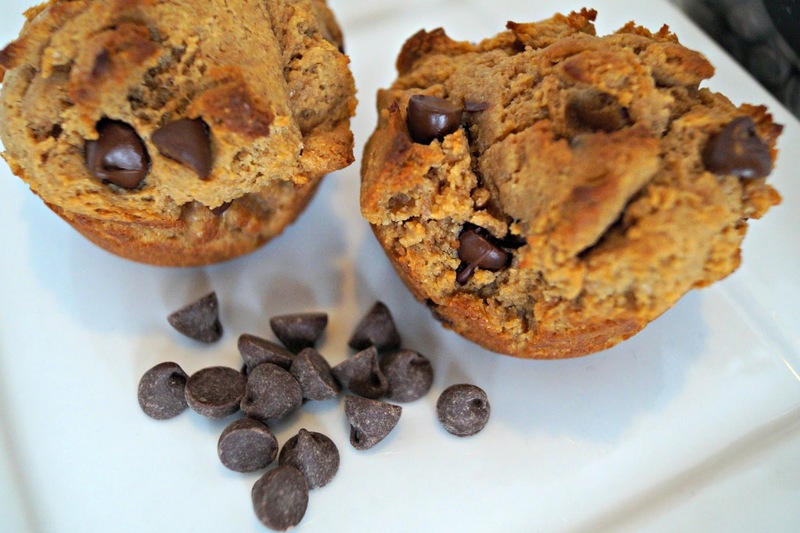 My kids love my peanut butter dark chocolate chip muffins and pb & j muffins. What kid doesn’t love an organic cheese stick? These are super easy for mornings when you are in a rush. (Isn’t that everyday?) Just watch the ingredients. There are some that have questionable ingredients in them. 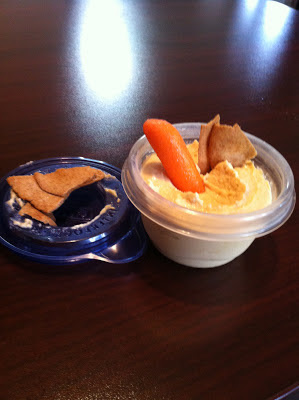 Kids love carrots, but add a favorite dip like ranch or hummus and they feel like they are having something extra special. Use your favorite little plastic container and layer plain yogurt, fruit and granola and you have a snack that will satisfy for hours. I use spoons from the frozen yogurt store so I don’t have to worry if they don’t come home. They usually do come home though. If you have been following Juggling Real Food and Real Life for a while, you know all about these. My kids ask for them for breakfast, lunch, and snacks. They love them. My daughter’s friends started asking that she bring extra last year. You can find the recipe here. Well, there you go…………10 Snacks that are Real Food approved and easy for you to Juggle with your crazy schedule. Each one is a snack you can find at your regular grocery store. 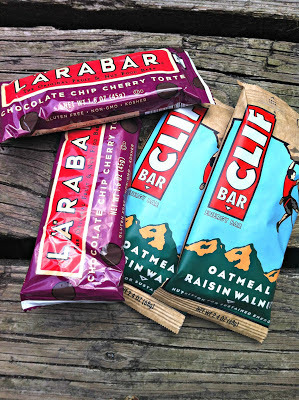 What are your favorite take-along snacks? How many of you out there have kids in nut-free schools? My kids usually eat cheese and crackers…I know the crackers are processed 🙁 …cut up fruit, and hummus and carrot sticks and peppers after school. They also like popcorn, yogurt, etc…for the most part we don't eat much in the way of processed food, but we definitely eat some. 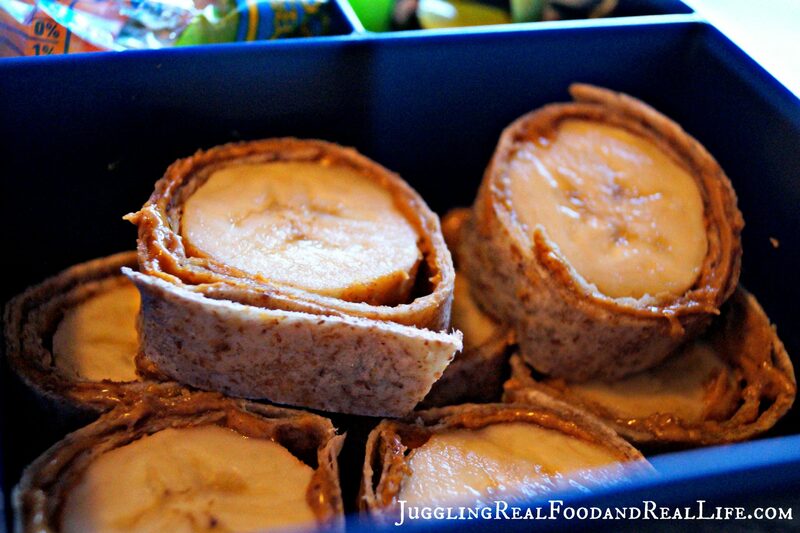 Great snack ideas though…I found some new ones to try. I LOVE apples and peanut butter! Such a healthy and filling afternoon snack. I really like bananas and peanut butter on a graham cracker, too. My kids like yogurt parfaits. I make them for breakfast or "dessert" for myself. I should get some little containers so my son can take them to school for snack. Great roundup of ideas! Thanks for the great ideas. I'm always struggling to find snacks that my kids (ages 4 and 2) will eat. I'm so tired of my "go-to" snacks of organic string cheese and pretzels. I can't wait to try the Monkey Bites. Most of the above foods are really delicious. Those foods are truly favorite for our kids. But I have a little bit confusion about nutrition providing capacity of those foods. It's our duty to serve proper nutrition to our kids for growing their health.I thinks above foods are not actual healthy meals for kids ,so I am confuse to provide those foods to my kids.